The project 'Judaica: Embodied Laboratory for Songwork' (AHRC 2016-2018) is designed around a method for structuring a new audio-visual laboratory of humanities. 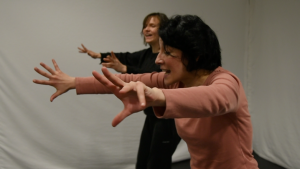 This redesigned theatre laboratory model challenges the lines between different forms of actor training; between personal and professional training; and between embodied practice, written texts, and audio-visual documents. 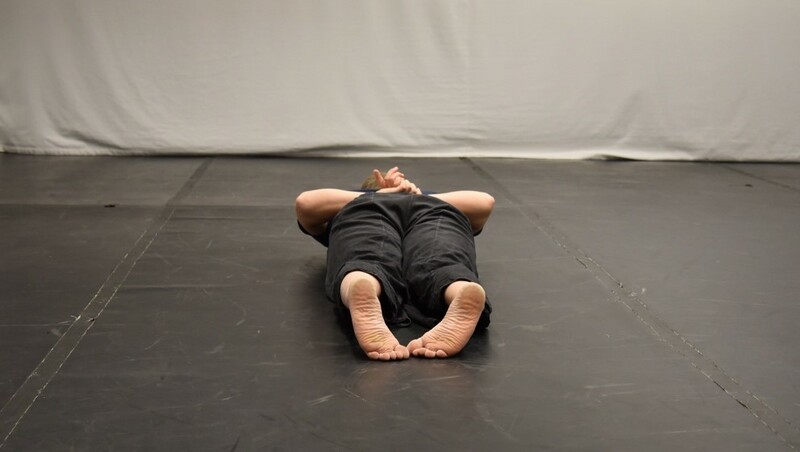 Drawing on discoveries made during the 2017 intensive laboratory phase of the research, the trio of international researchers present fragments of practice and video material based on the key questions and concepts developed about the relations between embodiment, laboratorial practice, performer training, and identity. The lecture performance offers new strategies for articulating the inner dramaturgy and embodied knowledges of performer training practices and opens a discussion on the potential of audio-visual media to enrich conversations of import to performers, performer trainers, and practice researchers at all levels. For information on the Judaica project, please visit: www.urbanresearchtheater.com. Ben Spatz is Senior Lecturer in Drama, Theatre and Performance at the University of Huddersfield; author of What a Body Can Do: Technique as Knowledge, Practice as Research (Routledge 2015) and numerous articles; convener of the Embodied Research Working Group within the International Federation for Theatre Research; and editor of the new videographic Journal of Embodied Research. Nazlıhan Eda Erçin is a performer, researcher and educator pursuing a practice-based PhD degree in Drama at the University of Exeter. Her background is in Sociology (METU, Turkey) and Performance Studies (SIUC, USA). Her current research and teaching practice focus on body-centred research, physical/auto-biographical performance, gender, and identity. Agnieszka Mendel is a singer, actress, ethnologist, voice and theatre teacher. For 15 years she was a core performer with the Gardzienice Centre for Theatre Practices in Poland where she played leading roles in several performances and conducted workshops for actors and singers from around the world.